Unlimited numbers of EU migrants will still be able to come to Britain for up to three years even if there is no deal, the Government admitted last night. 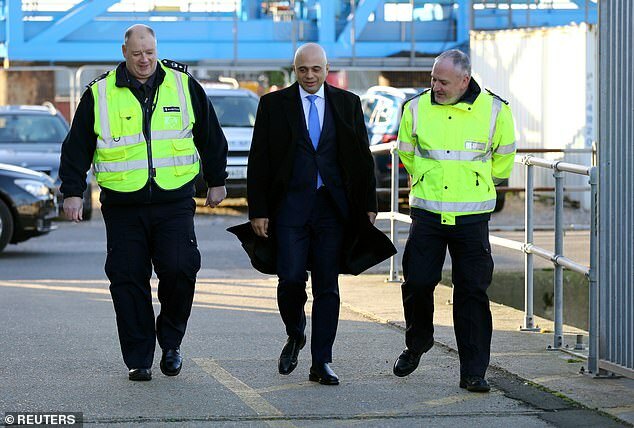 Sajid Javid said that citizens from the bloc would be allowed to enter the UK to visit, work or study after Brexit day on March 29. Outlining immigration arrangements for ‘no deal’, the Home Secretary said he was committed to honouring the referendum result by ending free movement. But some critics warned that the latest proposals, set out as MPs debated the long-awaited Immigration Bill, risked betraying the hopes of those who wanted to dramatically curb migration. For a 21-month transitional period, EU citizens and their families – plus those from Switzerland, Norway, Iceland and Liechtenstein – will be able to visit for three months at a time without a visa. If they want to stay longer than three months, they will need to apply for permission and receive a new immigration status which is valid for three years – European Temporary Leave to Remain. However, they would not be eligible if they were a serious or persistent criminal or a threat to national security. EU migrants wanting to stay more than three years will need to apply again under new immigration rules which will come into force on January 1, 2021. But they would have to meet a salary threshold which workers must earn before being allowed to come to Britain on new five-yearlong skilled worker visas – currently proposed at £30,000. Ministers announced in December that, for the first time, everyone coming to Britain to work or study would require a visa after EU freedom of movement rules finally end. Citizens from the EU will no longer have preferential access to the UK. 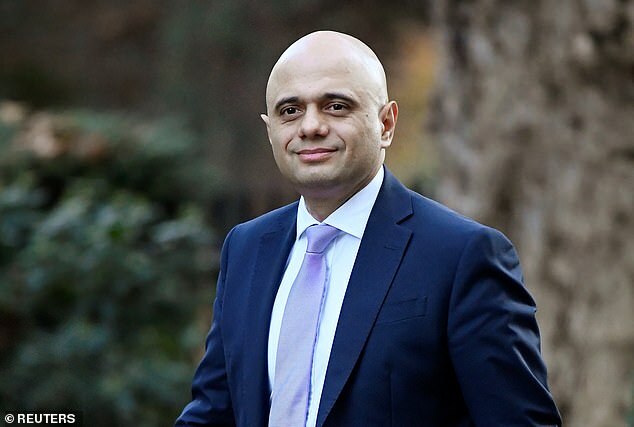 Mr Javid said: ‘If we leave the EU without a deal we will continue to deliver on the referendum result and end free movement once and for all – giving us full control of our borders for the first time in decades. ‘However, we need to take a practical approach and minimise disruption to ensure the UK stays open for business. The policy does not apply to EU citizens in the UK before Brexit, whose rights to live and work will be protected by the EU Settlement Scheme. Non-EU family members who wish to accompany an EU citizen with European Temporary Leave to Remain will need to apply in advance for a family permit. Home Office guidance points out that anyone who does not hold valid immigration permission to be in the UK face deportation. It is not clear yet whether EU citizens who receive leave to remain will be able to access benefits and public services such as the NHS. Under Brussels rules, EU workers arriving under free movement rules can claim the same benefits as UK citizens, including for unemployment, housing or children benefit. Lord Green of Deddington, chairman of the Migrationwatch think-tank, which campaigns for balanced migration, said: ‘This is free movement in all but name. Yet again the Government has entirely caved in to the business lobby. ‘This is an astonishing concession before the situation of the 1million British people living in the EU has even been considered. 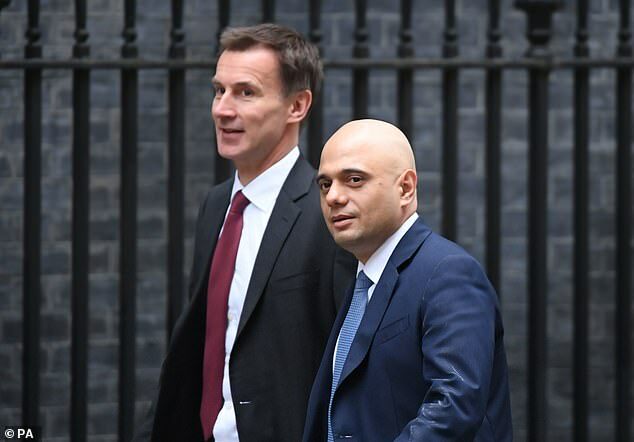 ‘Most of the public want to see a reduction in immigration, not to see it prolonged for years on end.’ Mr Javid confirmed that the Tories’ controversial goal to reduce net migration below 100,000 a year – a key plank of the Conservative election manifesto – was not in the bill. However, Prime Minister Theresa May has always said the ‘tens of thousands’ pledge was still in place. Meanwhile, Labour were in disarray over their response to the Immigration Bill. Shadow home secretary Diane Abbott said the party would not oppose the bill at its second reading – only to perform a U-turn half-an-hour later.